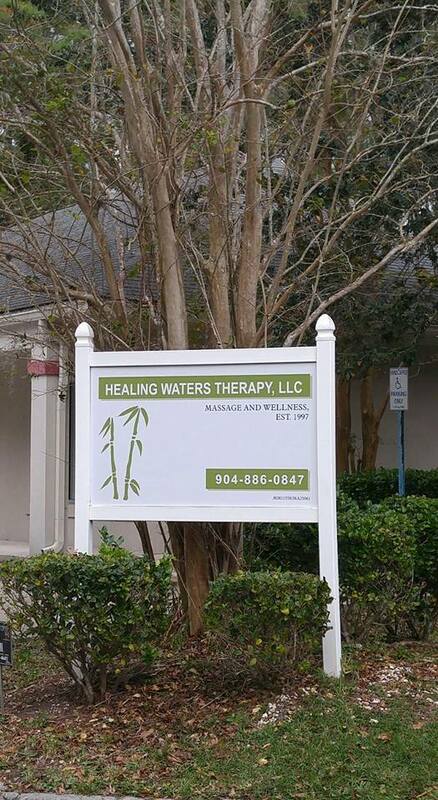 Healing Waters Therapy, Established in 1997, is open 7 days a week from 8am to 8pm. Hello there, I think your site could be having web browser compatibility problems. When I look at your blog in Safari, it looks fine but when opening in IE, it has some overlapping issues. I simply wanted to provide you with a quick heads up! Besides that, excellent blog! I look forward to meeting you!! Please call, text or email to set up an appointment. Hello! I am excited to receive a neuromuscular massage from you! In addition, I'd love to hear more about your practice, your beginnings, your growth holistically and professionally; your story. When I read about your gift discounts on Swip swap, I recognized and admire your humble SERVICE offerings to our community BALANCED with an OWNERSHIP of your WORTH and valuable HEALING GIFTS, UNIQUE to Mandarin. (If I'm reading correctly what my intuition is telling me, it's unique in the southeast; the West entirely.) Recently back to FL, I'm looking for like healers to build a holitic treatment team: stellar training, years of experience, humbled and enriched by life's trials/God's blessings. Ideally we'd collaborate to design individual recovery and treatment protocols, maintenance plans and continuously evolving daily action plans for every patient/client. Ive been blessed with years of training in all scools of yoga, meditation, pranayama, chakras, etc with many of the true fathers that brought it to America from India, blessed with years of teaching and so much more to place me in a position today to give back, to offer alternative ways of healing and living. I'm looking forward to explorong where I might ne of use to you and your practice; to assessing whether our gifts could benefit one another on some level and to discussing if our goals and objectives mesh. Its always a gift to meet a like mind, whether it's to experience a fantastic massage or to manifest some magic!